Glass Walls. Single Glazing & Insulated Glass Wall Units Ireland. Large glass walls, slimline posts and rails allow for naturally lit and architecturally pleasing workspaces. 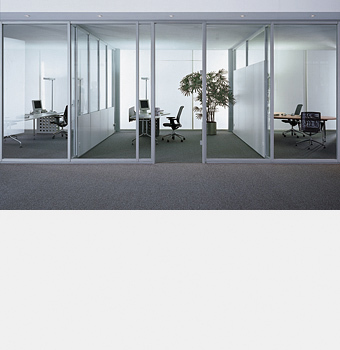 fecopur glass wall glazing brings unlimited freedom in creating attractive workspaces. The profile of the posts and frames are just 50 mm wide are perfect for walls made of glass. Single glazing or insulated glass units are installed quickly on site, providing your office with instant new walls.